The juban is worn just under a kimono, but the undershirts for the upper part and the lower part respectively are worn under the juban: for the upper part of body called hadajuban, the lower part of the body called a koshimaki or a waist cloth. Any clothes can be used for the purpose of the hadajuban and the koshimaki because they are never seen from the outside. 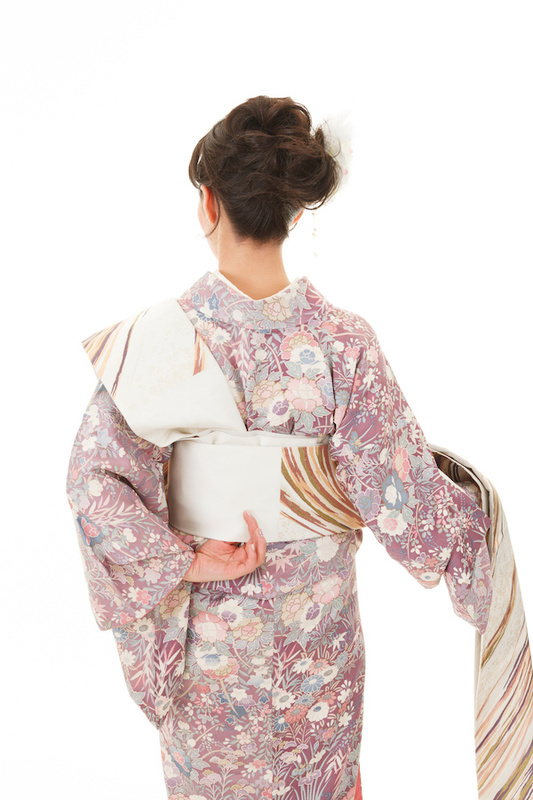 Because it is difficult to wear the split undershirts for the upper and lower parts of body if not used to, there is also an underslip for kimono for a kimono on the market. It doesn’t matter to wear undershirts for ordinary clothes; it is, however, better to wear the one of which style allows to absorb the sweat in armpits. In addition, please be careful to select the one which has low neck as much as possible in consideration of being seen the back resulting from pulling down the collar of kimono. To wear traditional undershirts for kimono, wear the koshimaki prior to wearing the hadajuban. In general, the hadajuban has no straps or buttons to fix the front. Wear the juban while overlapping the front of the hadajuban and hold it by tying the straps of the juban.